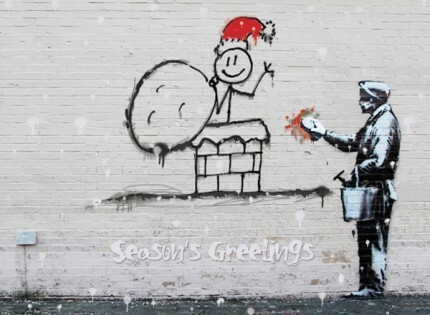 Graffiti Santa is a moving piece by the mysterious artist Banksy. This Banksy design is suitable for corporate, business, company and personal use. Personalise the inside with you personal Christmas greeting, add your corporate logo and signatures.